San Diego's Humane Wildlife Removal Solution! We offer San Diego all-natural, humane solutions to wildlife removal, trapping and prevention needs. Our staff is committed to excellent customer service and the safe handling of wildlife. Due to the ever expanding habitat of man, wildlife has had to adapt to man's artificial dwellings or face the possibility of extinction. We have found that the majority of our clients wish to find ways to protect what is left of San Diego's natural wildlife. However, they don't necessarily want that wildlife in their backyards. 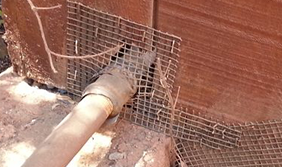 We offer custom wildlife control solutions for almost any type of wildlife problem, whether it be the noises of squirrels running through the attic, a colony of bats living in a building, or the destructive behavior of a raccoon or other critter, we have the experience and the tools to quickly and professionally solve your problem. 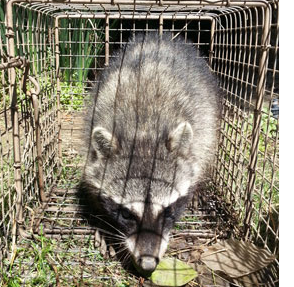 We offer professional wildlife trapping and removal services for customers who have continued problems with nuisance animals such as Bats, Birds, Coyotes, Gophers, Opossums, Raccoons, Skunks, Snakes, Squirrels and more. After we remove, your wildlife. We’ll keep your them out for good by sealing up potential entry points, repairing drywall and replacing insulation. Animal waste in an attic or basement is a major health hazard, especially in large quantities. You may be surprised to learn that potentially deadly diseases may be present in their homes or businesses after wildlife infestations. Our staff takes every appropriate safety precaution when cleaning up health hazards. We offer fast, effective trapping and removal services for all of San Diego's critters - 24 hours a day, 7 days a week. I woke up yesterday morning and found a raccoon in my kitchen. I left the sliding door open. Found PCAC on Google and they came out immediately to haul this little guy away. Very humane, quick response time. Took care of the opossum problem that was riling up my dogs at night! Very happy with their service. Professional, fast response. Was at my house in record time to get a rattlesnake. Very informative and helpful in coming up with ways to protect my family, including a very curious 2-year-old. Fair prices and fast work. No silly business. Would highly recommend to anyone having or suspecting snake and other animal issues. Great service at a reasonable price. Chris from PCAC has trapped 10 raccoons in my back yard since I hired them to do the removal.They did a terrific job .Would highly recommend them for any of your wildlife removal needs.